South Africa and Chad joined the African Union on Monday in condemning an attempted coup in Gabon. “South Africa reaffirms the African Union principle of the total rejection of all unconstitutional change of power,” the Department of International Relations and Cooperation said in a statement. Chad’s President Idriss Deby, who is also the current head of the Economic Community of Central African States, also condemned the coup attempt and applauded the swift action taken by Gabonese defense and security forces in quashing the coup. He further welcomed the unanimous reaction of the international community in condemning the actions of the coup plotters. Turkey, the African Union and France also condemned the failed coup. The government of Gabon said late Monday that the coup leaders have been arrested and the situation is under control. 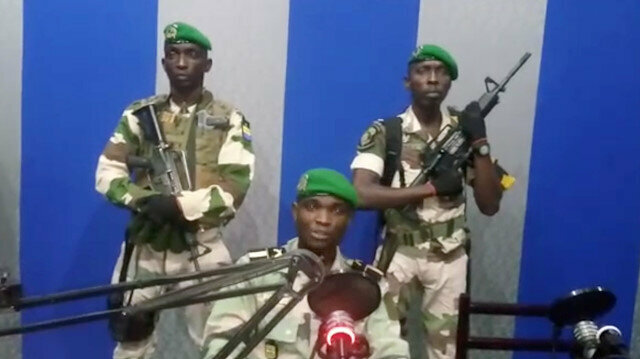 Earlier Monday, soldiers led by Lt. Kelly Ondo Obiang took control of Gabonese National Radio in the capital and announced their intention to establish a national restoration council. Obiang said President Ali Bongo, who has been out of the country for over two months for treatment, could not fulfill his responsibilities. In a New Year's message from the Moroccan capital Rabat, Bongo said he will return home soon. Bongo, 59, came to power through an election in 2009 following the death of his father, Omar Bongo, who had ruled the central African country for 41 years. Gabon has been rocked by sporadic violence since the 2009 poll, the results of which have been questioned by the country’s political opposition. For the past 50 years, the Bongo family has dominated Gabon, where a third of the population lives below the poverty line despite the country’s vast mineral wealth. Sporadic gunfire was heard in Gabon's capital Libreville on Monday at a radio station seized by military officers in an apparent coup attempt, a Reuters witness said.A crowd of about 300 people had gathered at the station in support of the attempted coup, but soldiers fired tear gas to disperse them.Most of Libreville remained calm but there was a strong police and military presence on the street and helicopters circled overhead.